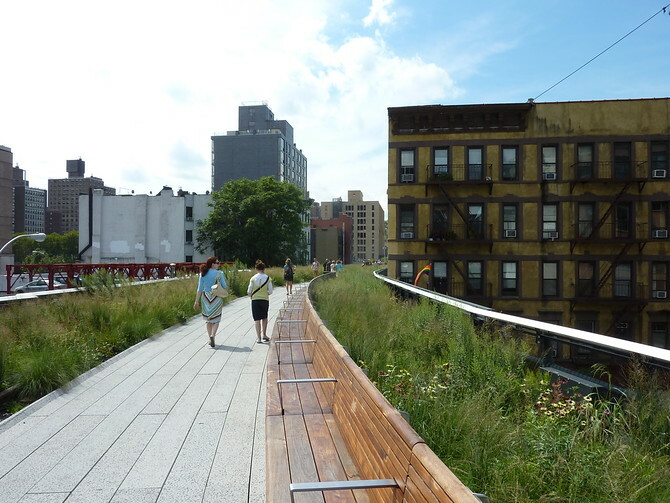 New York now has two walks in my good walks section (New York is that kind of place) with The High Line Park now added to my collection. While not as epic as the Broadway Walk, this walk is far more relaxing, with no traffic to contend with and a length of just one mile. 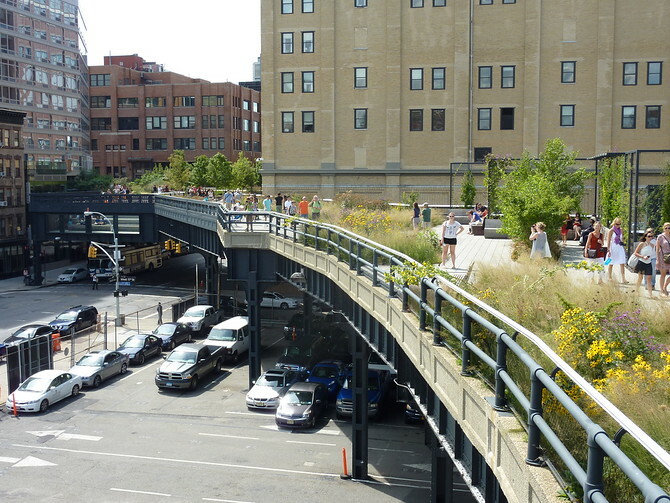 the High Line is a disused railway viaduct that runs along 10th Ave on the Lower West Side of Manhattan, between 30th st and Gansevoort St (near 12th St). 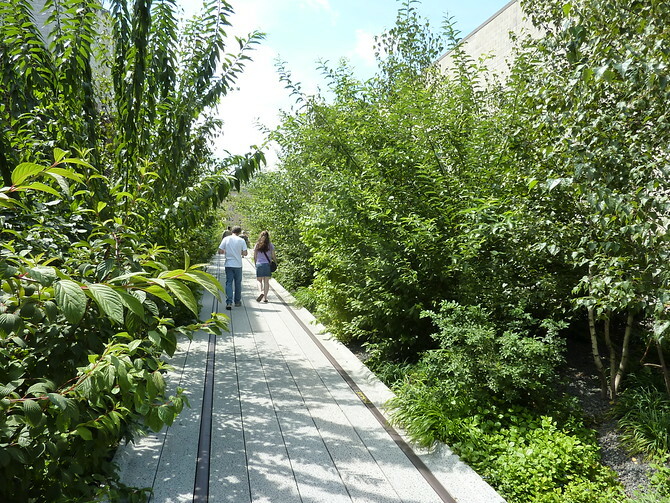 An easy walking path, with no bikes. Parts of the walk feature the railway track that used to run along the line. Walking above the traffic at W17th St. The park features landscaped gardens of wildflowers and grasses that you might expect along a disused railway line, and there are plenty of resting benches along the way. 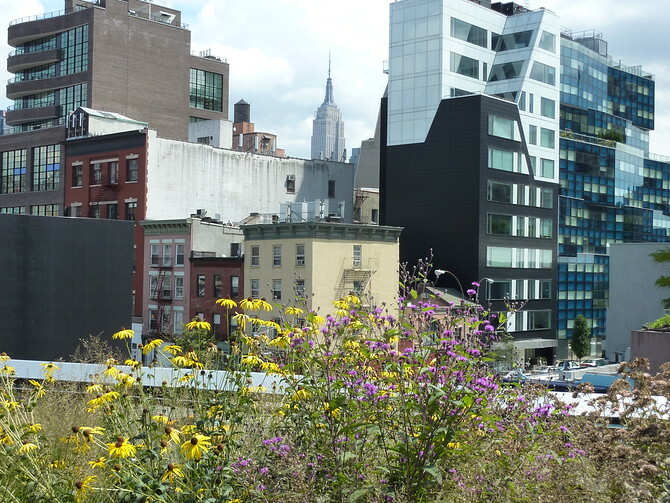 The highline ends, so soon – boo. 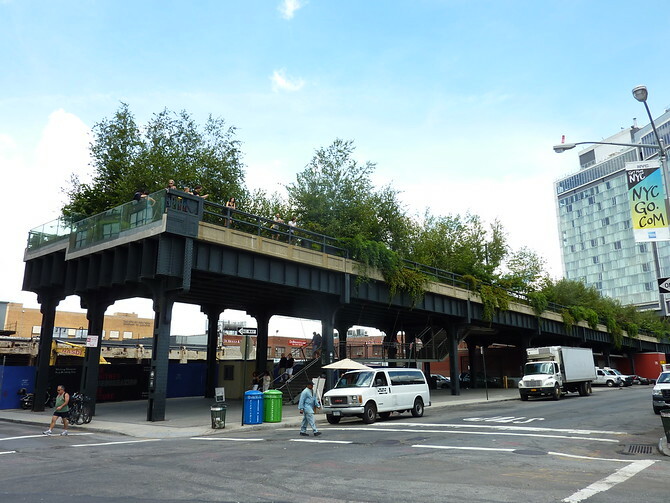 Originally the High Line ran south to Clarkson St (about another 14 blocks), one street short of Houston St, but that was demolished. Thankfully such a large section of track was spared. The good news is that there are plans to extend it further north from 30th St.
Oh Wow Jimmy! Nice find with this walk… would love to do it one day! That’s so cool! Definitely will check it out when I get to New York eventually. Looks so relaxing and fun! Didn’t even know it existed. 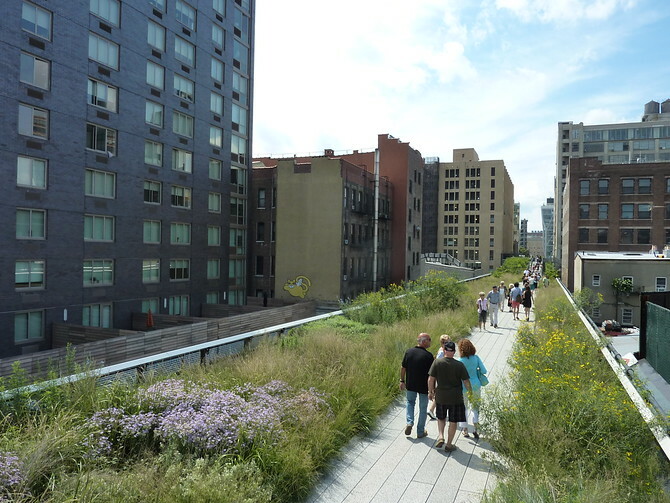 I’ll be walking Broadway soon–let you know how it goes.